Of late, there has been a growing interest in how non-Western peoples have been and continue to be depicted in the literatures of the West. In anthropology, attention has focused on the range of literary devices employed in ethnographic texts to distance and exoticize the subjects of discourse, and ultimately contribute to their subordination. This study eschews the tendency to regard virtually all depictions of non-Western "others" as amenable to the same kinds of "orientalist" analysis, and argues that the portrayals found in such writings must be examined in their particular historical and political settings. These themes are explored by analyzing the voluminous literature by military authors who have written and continue to write about the "Gurkhas", those legendary soldiers from Nepal who have served in Britain's Imperial and post-Imperial armies for more than two centuries. The author discovers that, instead of exoticizing them, the military writers find in their subjects the quintessential virtues of the European officers themselves: the Gurkhas appear as warriors and gentlemen. 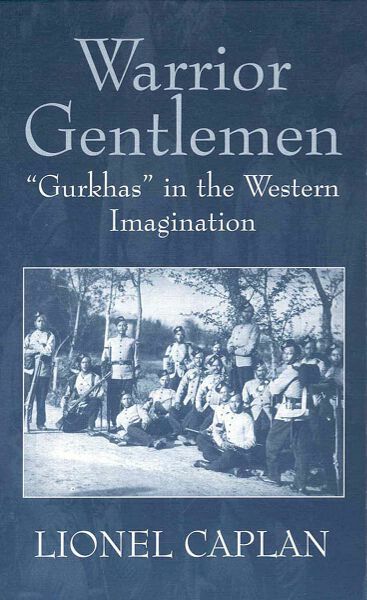 However, the author does not rest here: utilizing a wealth of literary, historical, ethnographic sources and the results of his own fieldwork, he investigates the wider social and cultural contexts in which the European chroniclers of the Gurkhas have been nurtured. Lionel Caplan is Professor of South Asian Anthropology at the School of Oriental and African Studies (SOAS), London. Interview of Lionel Caplan, January 2004 concerning his work in Nepal and India and his teaching at the School of Oriental and African Studies in London. Interviewed by Alan Macfarlane, filmed by Sarah Harrison. Lasts about 50 mins. Generously supported by the Leverhulme Trust.